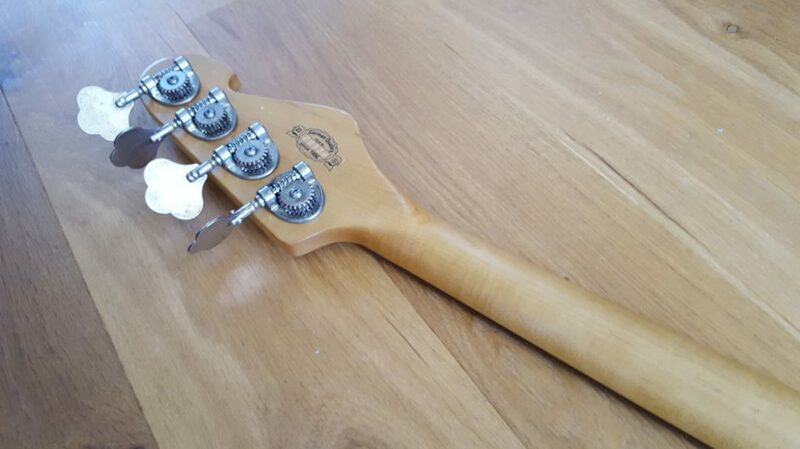 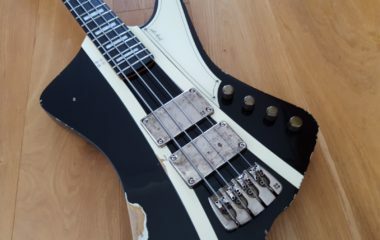 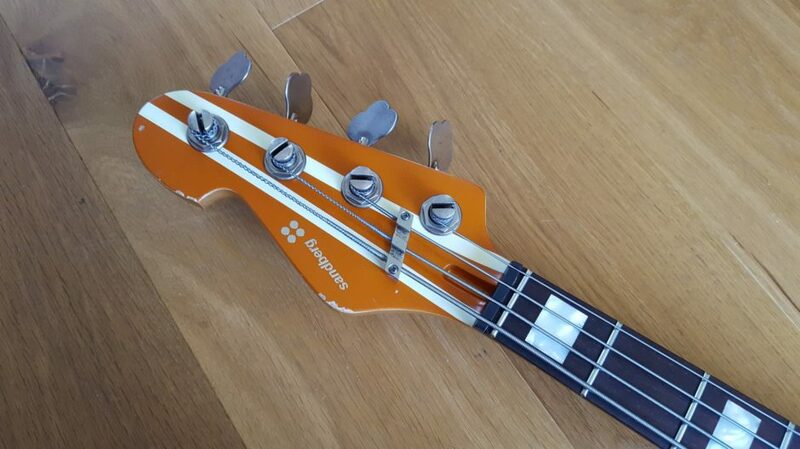 An unusual high spec Forty-Eight bass with reverse headstock. 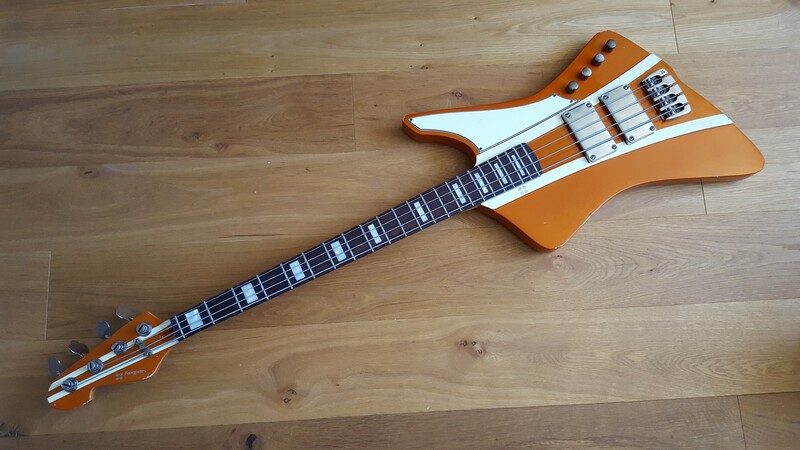 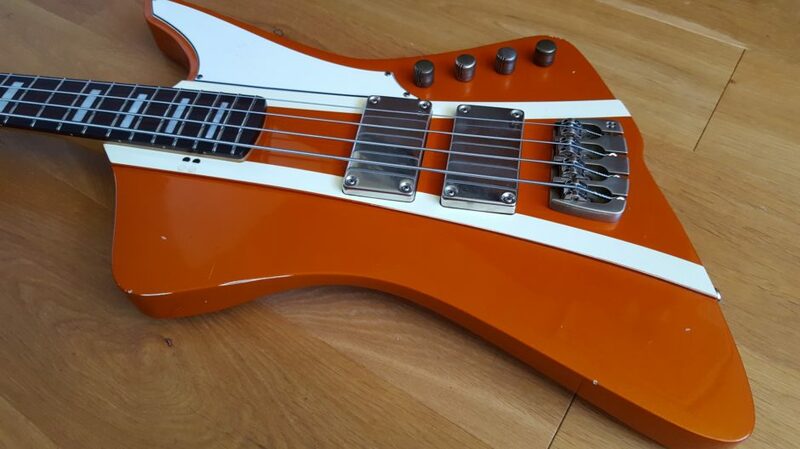 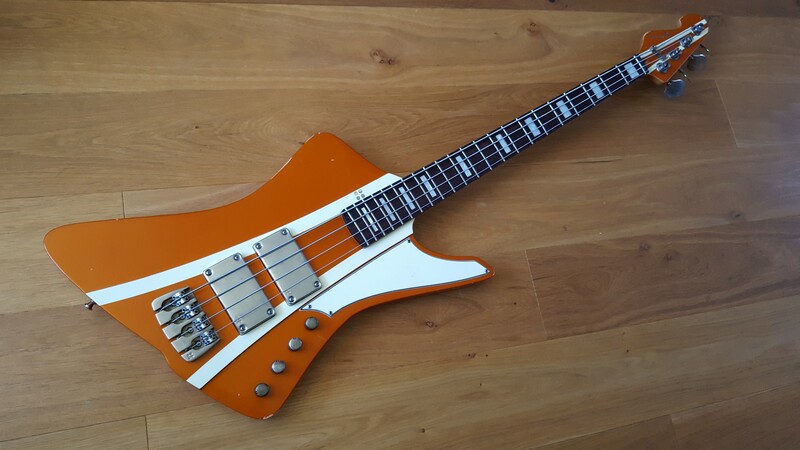 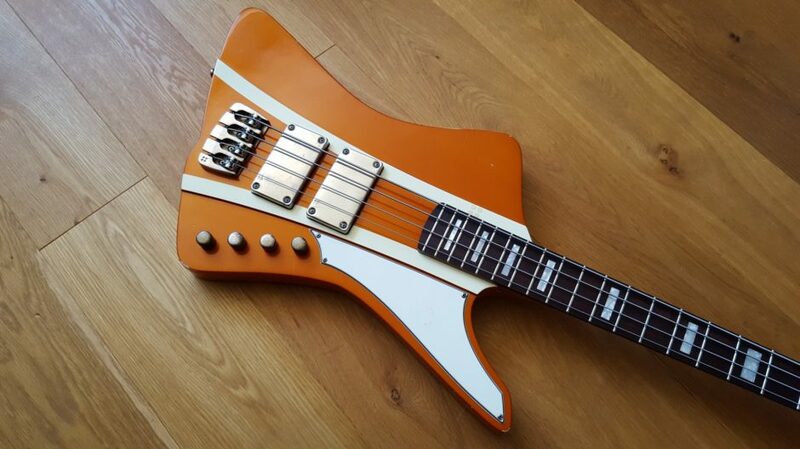 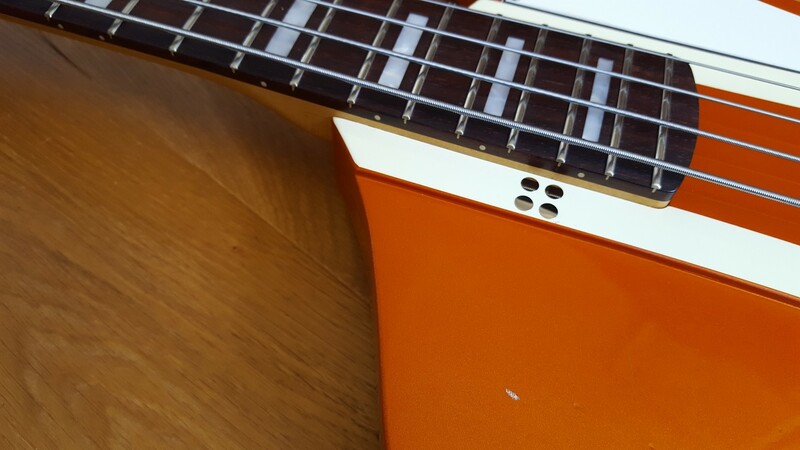 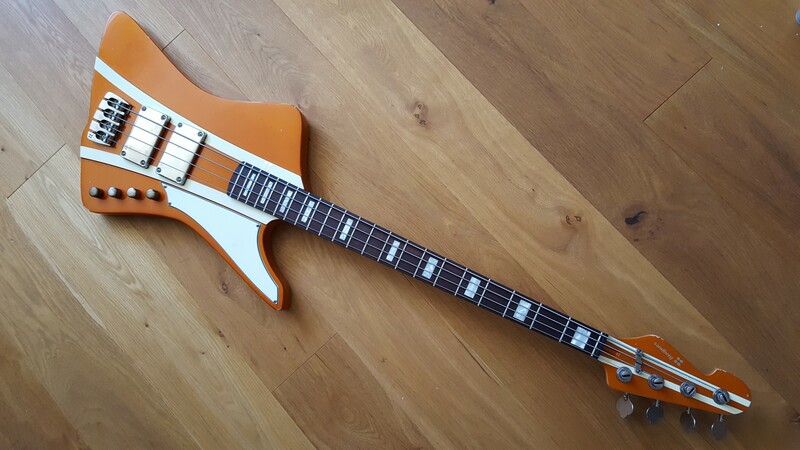 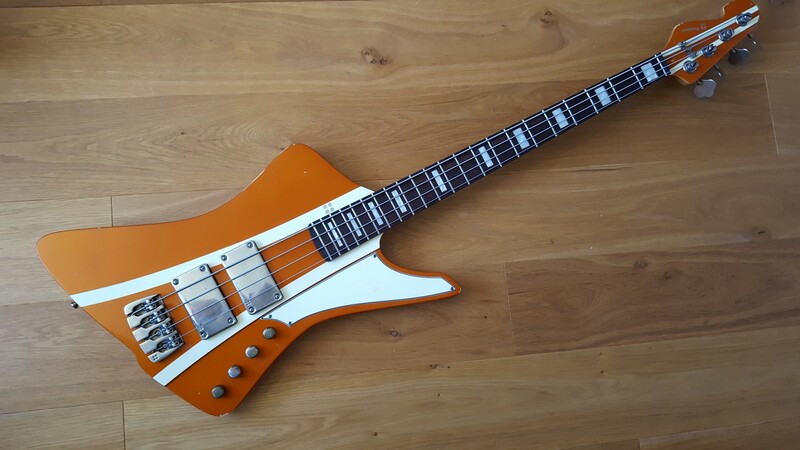 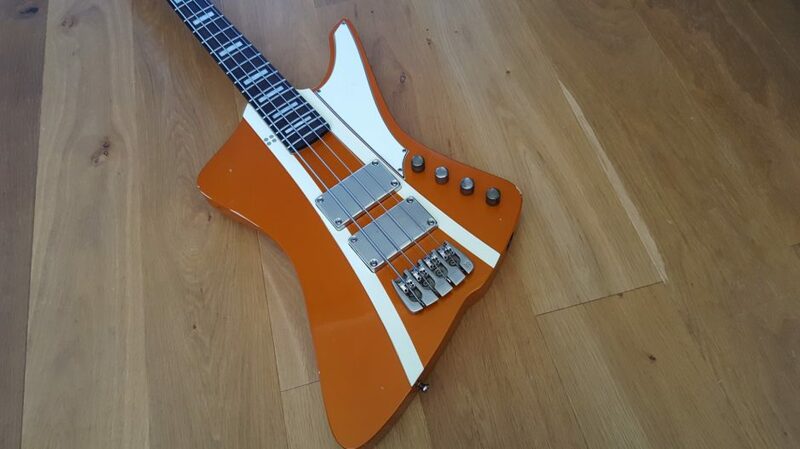 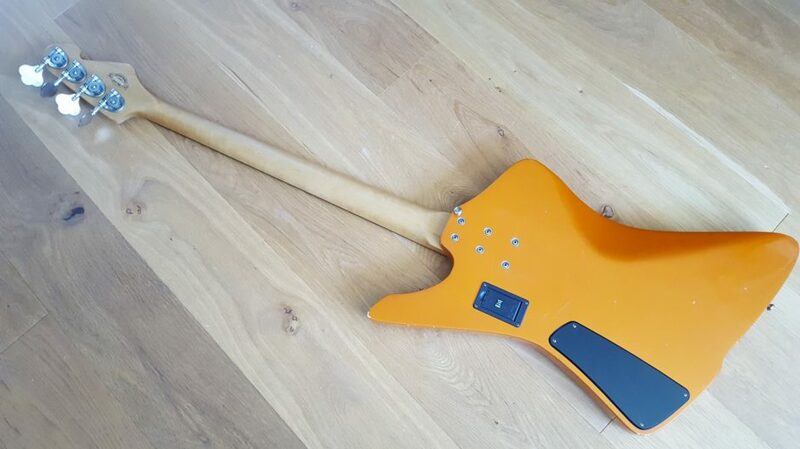 Sandberg Forty Eight Bass in Metallic orange with cream stripes. 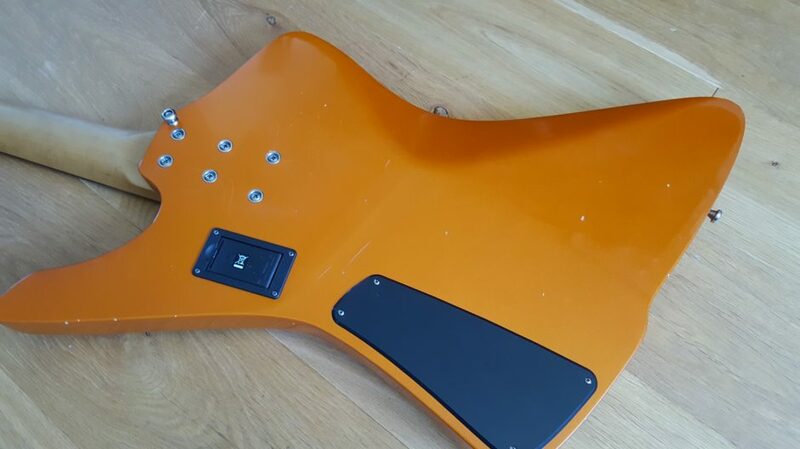 Ordered with the extra options of matching headstock, stripes, soft aged, rosewood fretboard with pearloid block fret markers and a reverse headstock. 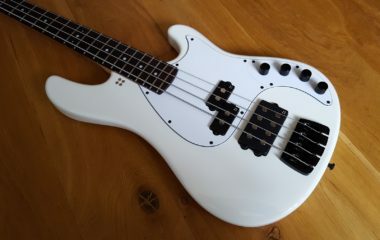 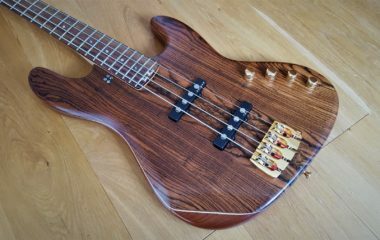 This is a very high specification bass ordered with some out-of-the-ordinary options.